We are back for year 3 of Arc Reactions Podcast. We start out with a large story that we have looked forward to covering since we started the podcast. 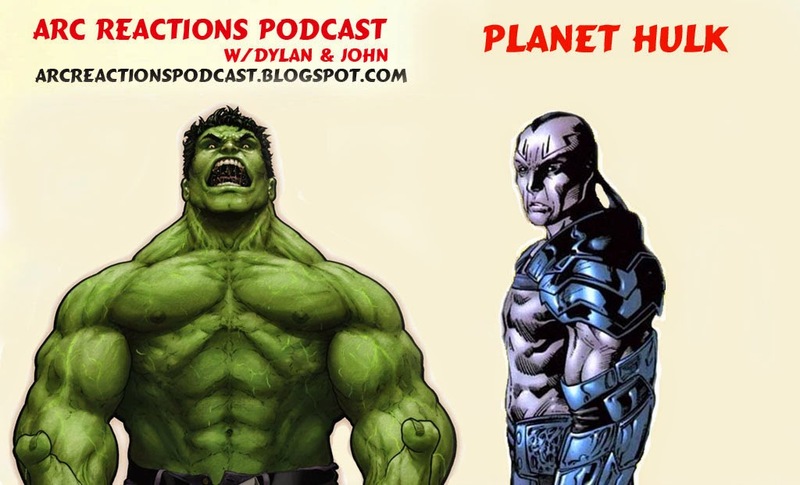 This episode we visit Planet Hulk and talk about the green behemoth in one of his biggest adventures to-date. ***A quick note*** – Dylan mentions ‘Women in Refrigerators’ podcast in the episode. He meant the Out of the Fridge podcast which you can find here on Comics Podcast Network. Please join us in February for Teen Titans – The Judas Contract.